I love our easylife one of the best that i had. Not heavy easy to go around woth it in the city.we bought it 3 years ago and still in an excellent condition. Definitely worth for the price. I’ve had this pushchair for over 4 years now and still going strong. It’s a gr at little pushchair that is very easy to build and collapse. You can do it one handed which has been a lifesaver on many occasion. It’s handy to be able to collapse it so easily as I often do it when I’m in coffee shops or restaurants and then I can fit it under the table out the way. I’ve also used it when flying and it fits into the overhead luggage. The seat itself is very spacious and twill padded. The down side is that the hood doesn’t shade very well. Also the breaks are a bit flimsy. 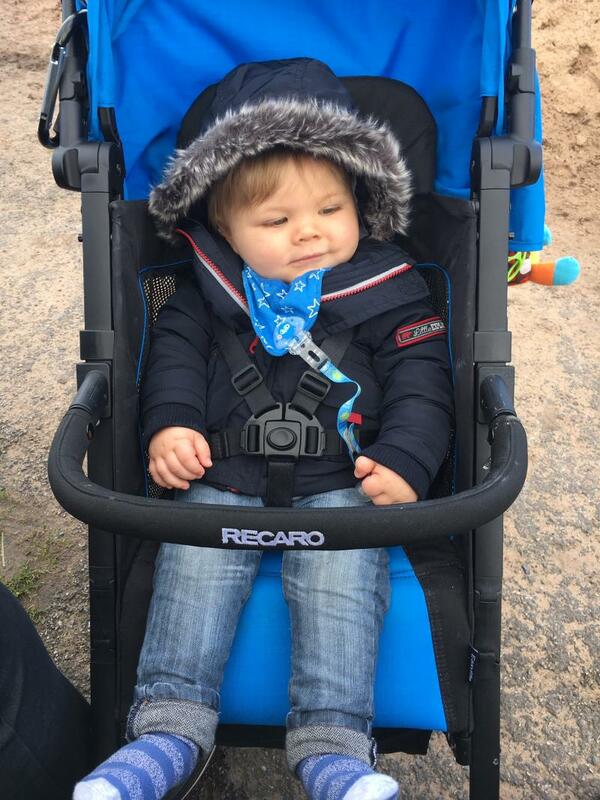 Overall I really like using this pushchair. Now that my little girl no longer needs it it’s perfect for my little boy. Still looks like new after 4 years. Weird noise when you reverse after some use. Breaks are not great. I've been using this product for almost 2 years and it's a good product. Perfect for travelling as it folds easily with one hand and it's compact. Very light compared to other buggies. Love the design, but there are some negative points as well: after some consistent use it makes a very mechanical noise every time I reverse. I have a feeling it is going to fall apart any minute when I hear this noise! Also breaks are not great at all. When I use it on the bus I need to make sure I'm holding it. My friend has the same buggy model and both issues are visible on hers as well. 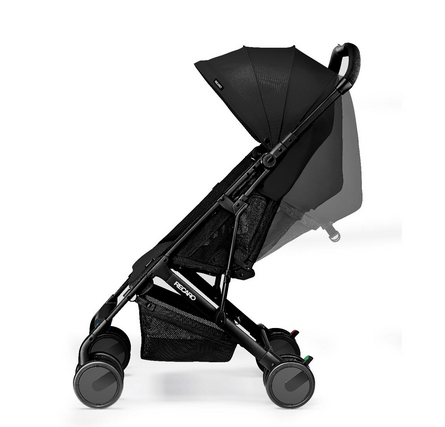 I love this pram because of how easy and small it folds. We have a really small car and struggled to get a normal pram In. We bought this for my 6 month old son because of how small it fold to fit in my boot and still has plenty of room for shopping ect. He is still using now he is 2 and plenty of room. The hood doesn’t come very far over so quite annoying on sunny days. One thing that really bugged me was the pushchair is quite expensive but you still have to buy a rain cover ect separately. Really light to push and lift but can sometimes feel a little wobbly. 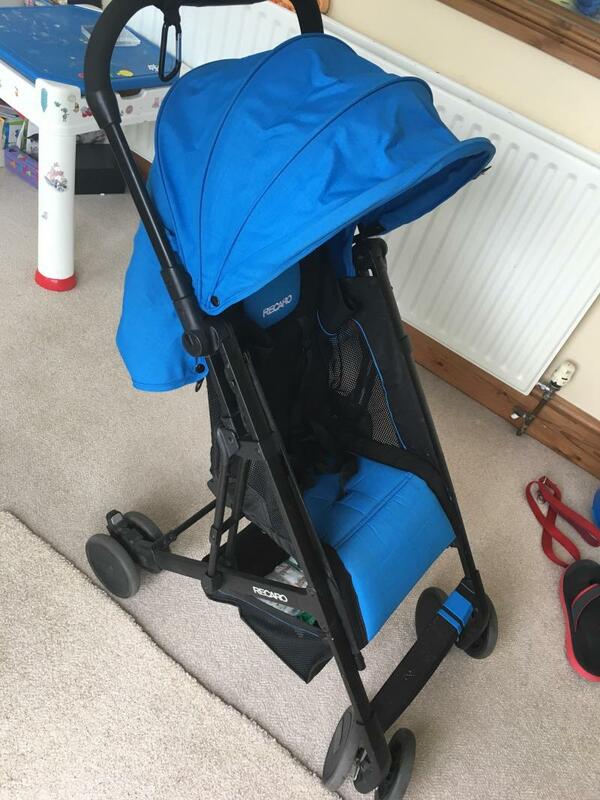 The colours the pram comes in are beautiful, we got a blue one and it’s such a lovely colour. So so easy to open and fold, can definitely do that one handed, which sometimes you need with a toddler. Great small fold, perfect for travel! This is one of the best purchases I've made. It's lightweight, comfortable and folds very small. This stroller is a perfect travel companion. We took ours for a two week holiday in Florida, and it worked perfectly! My two year old never complains about getting into this stroller and finds it comfy enough if she needs to nap on the go. 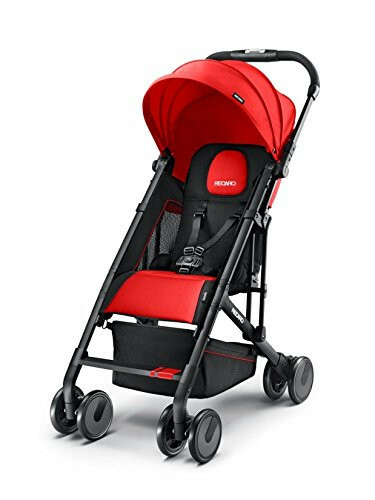 I love it so much that I plan on buying another when baby number 2 is old enough as me and hubby would rather push a child each than deal with a bulky, heavy double buggy! Folds so small and is extremely lightweight! Also love to push! Every so often it locks up and is a nightmare to try and fold down! I travel a lots by plane. I took this for my flight with little son and I was so impressed! I can fold it one hand, it is So lighweight and folded it takes just little place. It is amazing and I love this stroller! Highly recommend for people need take little to plane or even have small car. Life is made easy with the RECARO Easylife pushchair. It is compact, light, stylish and safe. 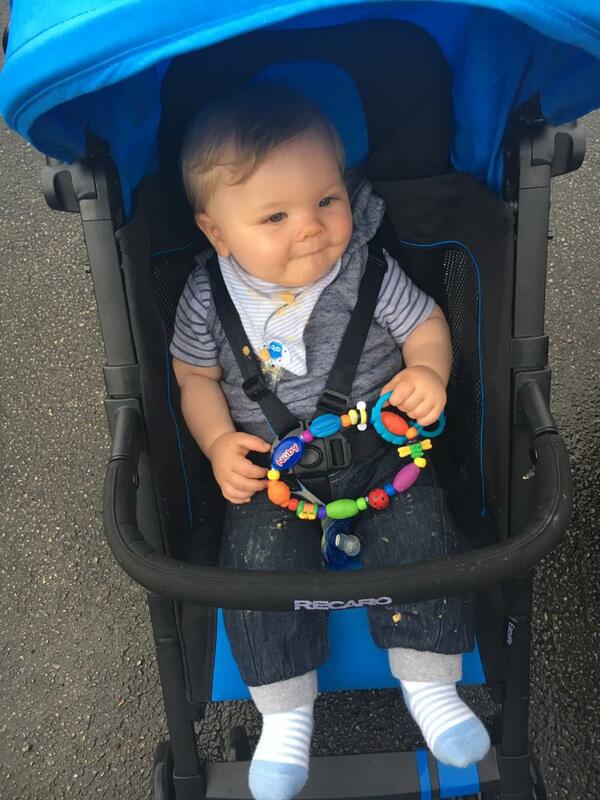 Once your child is 6 months old, this is the perfect pushchair for going outdoors with your child, and will last you until they are about 3.5 years. 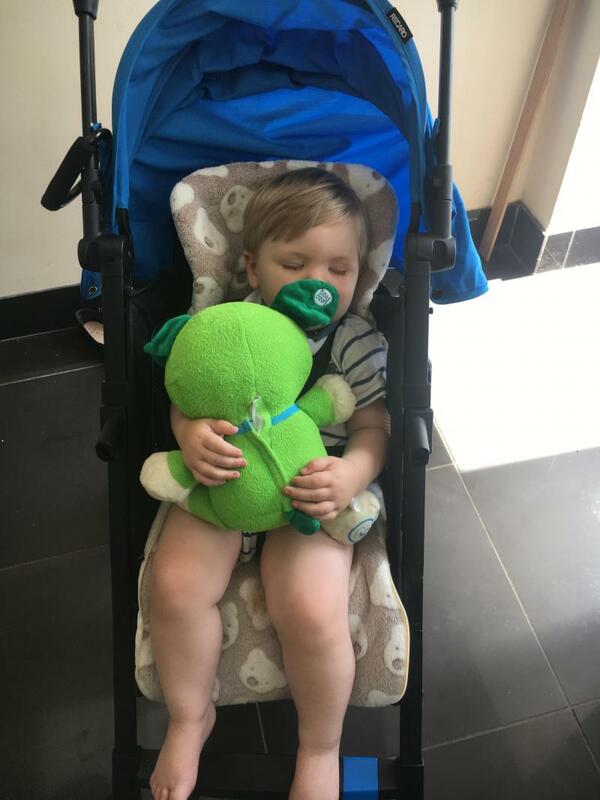 This is one of the lightest and most compact folding pushchairs in its category, but no compromises have been made on safety and comfort for your child. 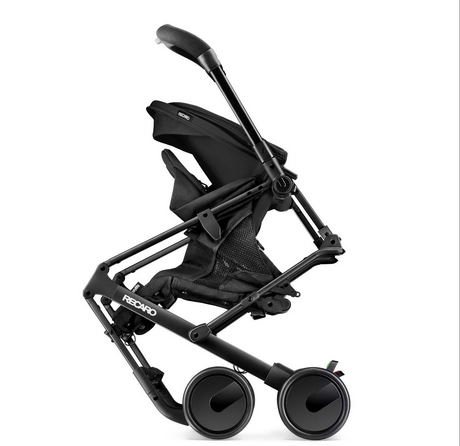 The Easylife pushchair boasts full suspension on eight wheels and a practical one handed folding mechanism. Superb manoeuvrability, front swivel lockable wheels, and colour co-ordinated push on/off brakes, all make the Easylife pushchair a smart choice. 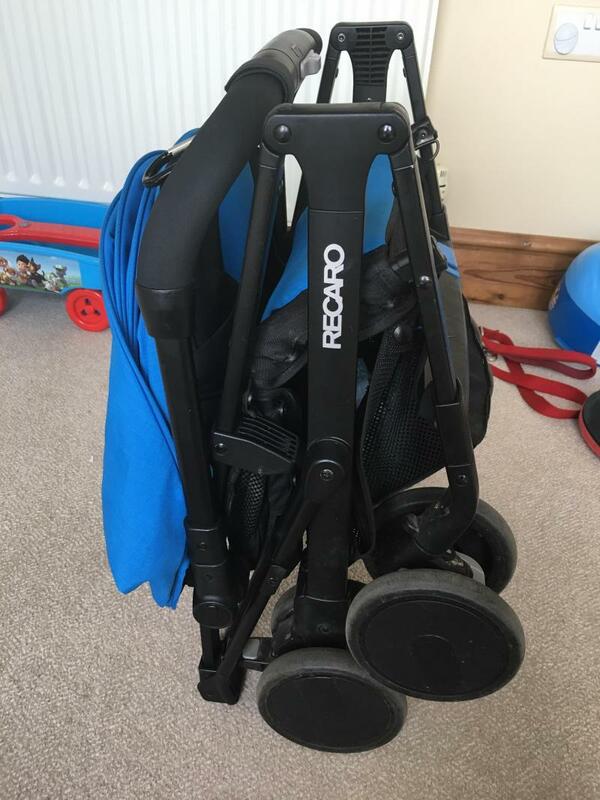 The ability to fold down in seconds, with a single hand, to dimensions of 50/59/27cm (W/H/D), ensures this pushchair will fit into the smallest of areas. A practical large shopping basket and convenient continuous handlebar are also great features. 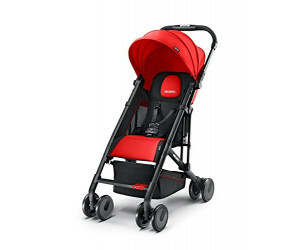 Safety is key, and RECARO have fitted the Easylife with an adjustable 5-point harness, multi recline positions as well as a large sun canopy, to ensure no compromises have been made with your child. The breathable mesh fabric and well positioned foot plate add further comfort for your little one.